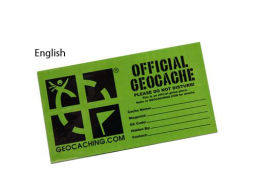 Welcome to Geocache Niagara, a home based online geocaching supply and resource store located in Niagara Falls, Ontario and servicing North America and abroad. My name is Carrie and I run this business with the help of my four children who share with me the love for geocaching. I opened Geocache Niagara in May of 2015 after the reality hit that all my children will soon be out of the house and I will have nothing left to do! As I have always dreamed of running my own small business it seemed a geocaching resource store was something perfect both for myself and for our location. Using our geocaching handle seemed to just make sense, thus Geocache Niagara was born. It is our mission at Geocache Niagara to provide our customers with the most updated and in-demand products that are relevant to the avid geocacher. From the latest geocoins to the tried, tested and true cache essentials we promise to constantly strive for exceptional selection by adding to our product list continually. In our short time since establishment we have created a great working relationship with Groundspeak, Rite in the Rain, Coghlan’s and Cache Advance-names well established within the geocaching community. In addition to our online store which offers competitive pricing and shipping rates we also have a monthly newsletter and keep in touch with our clients through our Facebook page. We can be found at many events held within the Niagara Region and will be hosting our first CITO event September 10. Details will be updated on our website as we get closer to the date. Feel free to browse our website and offer your suggestions. If you do not see a product you would like to see us carry send off a quick email to info@geocacheniagara or text us at (289)257-0215 for an even quicker reply. We will do everything we can to get it in for you. For customers located in or visiting the Niagara Region we offer free local pickup to avoid shipping charges. Just email or text the above to arrange a time. 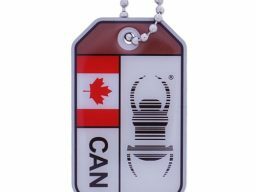 Credit card payments can be made via the PayPal link (PayPal account not necessary) at www.geocacheniagara.com. Cash upon pickup is also accepted. Thank you for viewing our catalogue and we look forward to servicing you in the future. Happy Caching, we will see you on the trails!